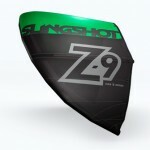 Slingshot Z is the first “Spherical-C” profile kite on the market. This is a versatile kite that gives constant pull with controlled power yet very stable and predictable in all types of wind conditions. 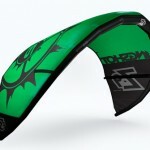 The Z-kite is easy to relaunch and can generate huge power for those massive jumps! The Z kite comes with all the latest features that we already see in the RPM and Fuel, but also with some brand new features, such as the “plug and play” feature. 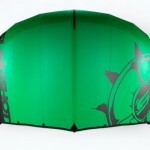 This include a pulley free bridle for a more direct feel and for enhanced responsiveness. Compared to RPM and Fuel, the Z-kite sits slighty further in the wind window, which gives it unmatched upwind performances. The Spherical-C Profile in combination with the axis wing tips make the kite more or less relaunch by itself, since it wants to roll up off the water. 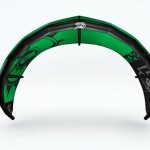 Z is a kite from Slingshot that has been optimized for a maximum range to fit all kinds of riding conditions.